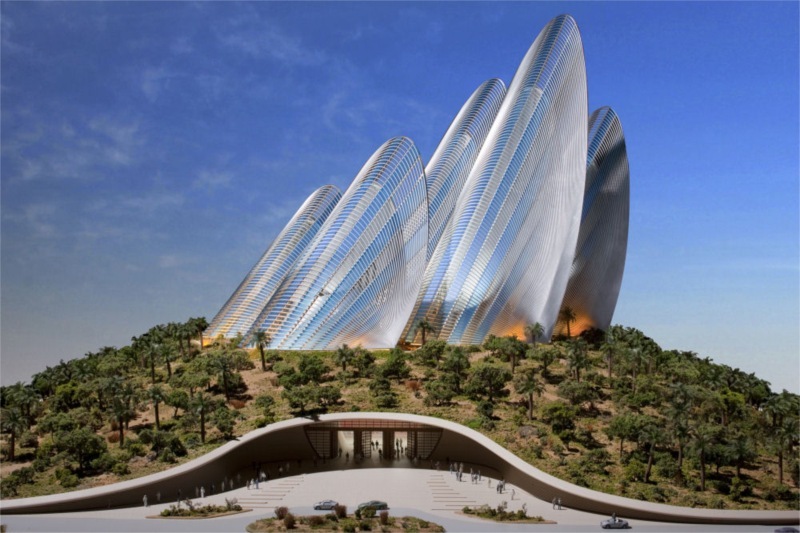 Foster + Partners has released new images of its designs for the Zayed National Museum in Abu Dhabi, after they were officially unveiled by His Highness Sheikh Mohammed bin Rashid Al Maktoum, Vice President and Prime Minister of the UAE and Ruler of Dubai, and Her Majesty Queen Elizabeth II of Great Britain. 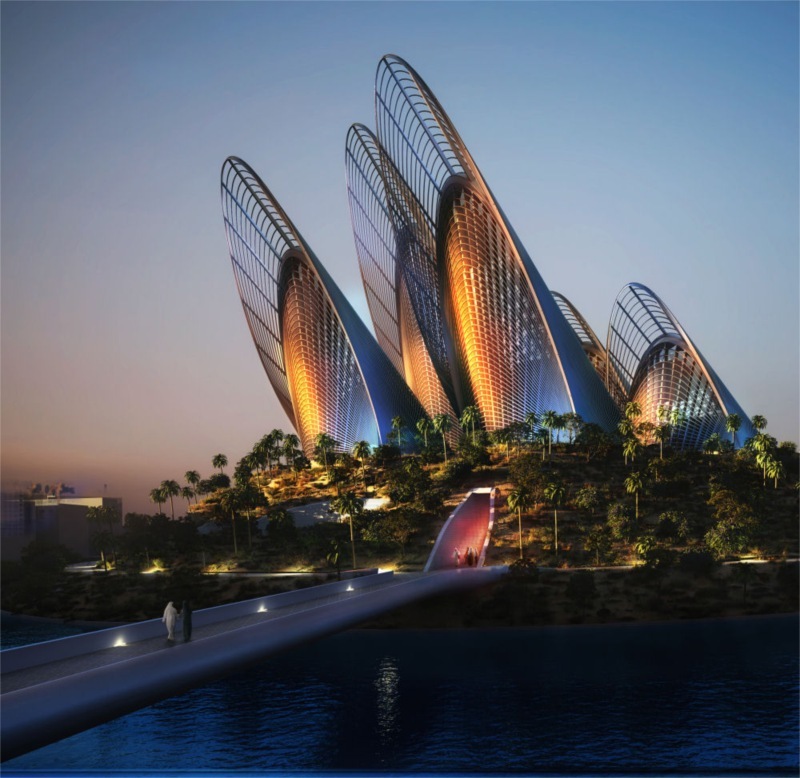 Already under construction, the Zayed National Museum is located on Saadiyat Island off the coast of Abu Dhabi, a mixed use development also set to receive the Guggenheim Abu Dhabi Museum by Frank Gehry, the Louvre Abu Dhabi by Jean Nouvel , the Performing Arts Center by Zaha Hadid, and Maritime Museum by Tadao Ando over the coming years. 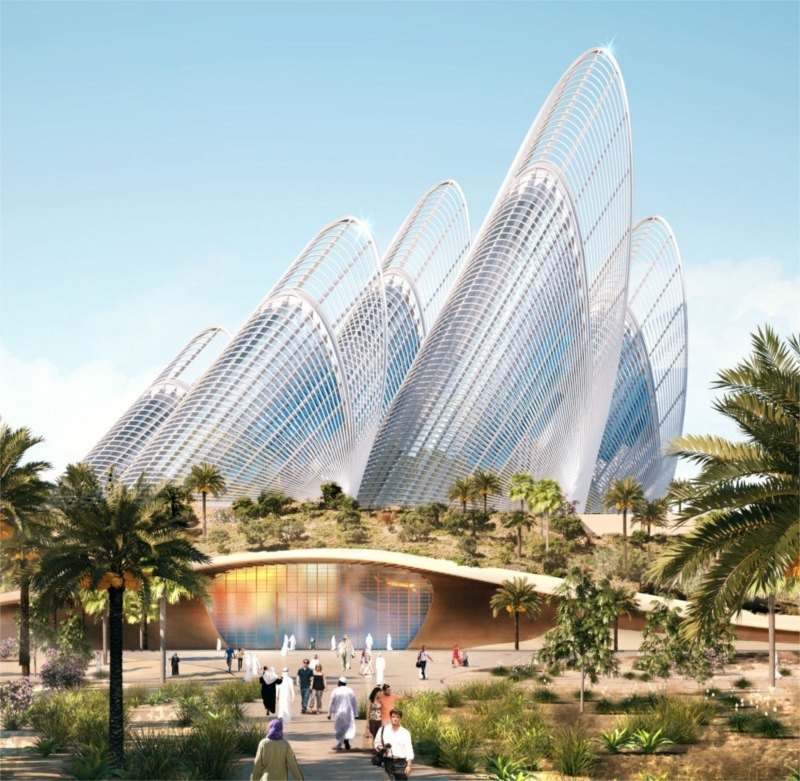 The new Foster + Partners designed museum is dedicated to the late Sheikh Zayed bin Sultan Al Nahyan (founding President of the UAE) and will stand as a testament to his memory and the social and economic transformation of the Emirates. Five finger-like towers rise from a man-made, landscaped mound, acting as thermal chimneys for the natural ventilation of the museum spaces at their base. 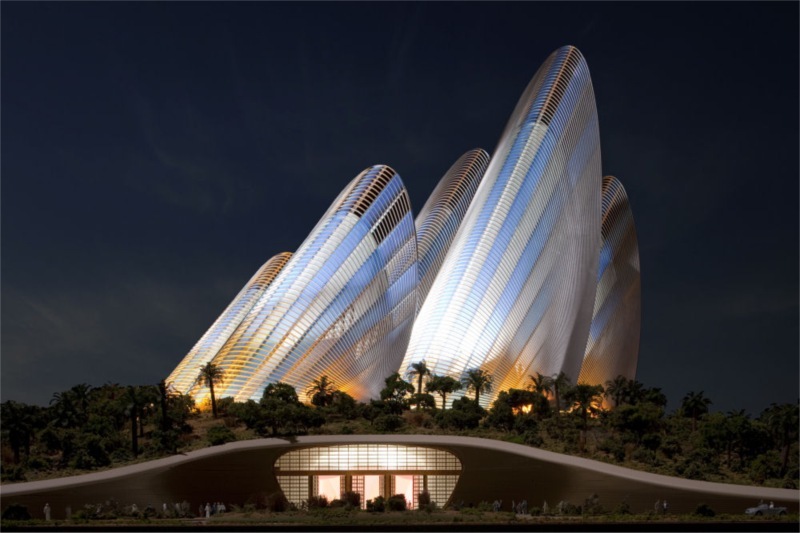 These heated protrusions are not only designed for dramatic aesthetic effect, but also to draw cooling air currents from the museum itself, vertically through the galleries using the thermal stack effect. 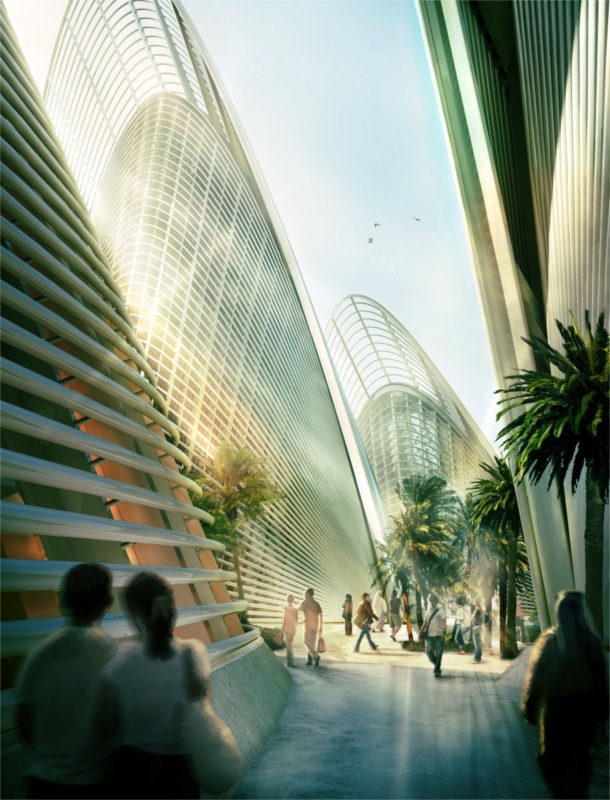 Also comparable to a birds wing, Foster + Partners explain: “The analogies with falcons and flight are deliberate and relate directly to Sheikh Zayed’s love of falconry.” This concept can be found in multiple locations within the museum complex, including an exhibition on the subject and an outdoor arena to host live displays with hunting birds. Aside from the various exhibition spaces which are centered by a bold top-lit lobby, the Zayed National Museum also features shops, cafés, an auditorium and informal venues for the performance of poetry and dance. The intense sunlight of the Abu Dhabi region is carefully directed through specifically located openings, engineered to illuminate the artworks to the greatest effect.